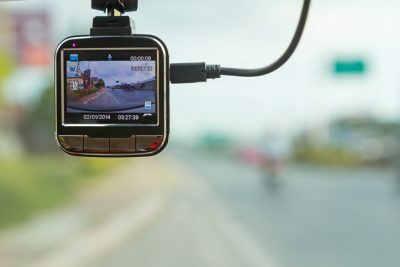 Three Good Reasons to Purchase a Dash Cam - Lanes Insurance Inc. Dash cams are becoming more and more prevalent on the roads these days, and they have proven to be extremely useful to drivers. As long as you use care to never be distracted (and risk a fine and demerits on your license) while using a dash cam, there are many benefits to owning one. The cost for a dash cam can range from about $60 to $200. Look for one that takes high-resolution video (720p or 1080p) so that you may zoom the picture in and out and still maintain the detail of the image. They should be low-key and practically unnoticeable when placed on your dash. Most will begin running when you start your vehicle, and turn off when you stop. A lot of storage is also necessary (32 GB should give you plenty of recording time). Models that loop – meaning that once they reach their memory capacity they will automatically erase the contents and start over – are also ideal. Some models also come with motion detectors for when the vehicle is parked. This feature is great for those who have to park in an undesirable area. The camera will automatically turn on when it detects motion and can catch someone lurking or a hit and run on your parked car. 1. The first and most obvious reason to purchase a dash cam is for the ability to help you out in the case of an accident resulting in an insurance claim. Witnesses – including you – can be notoriously unreliable. Plus, since it’s such a stressful situation, it’s not unusual for people to make statements or comments admitting fault that may not be entirely true and that can harm you during the claims process. Insurance companies generally assign fault based on the police report of an accident, and a dash cam provides an indisputable record of an accident that cannot be contested. Regardless of whether you own a dash can, be sure to always follow these steps if you are ever in an accident with another vehicle or involving personal or public property to protect yourself and your premiums. 2. Dash cams can be a good witness for other people, too. There are lots of bad driving habits being employed out there on the Calgary and Alberta roads these days. Dash cams can be extremely valuable for helping to catch people driving without due care, wreaking havoc on the road and causing accidents. Remember, however, the best thing to do is call the authorities (while safely pulled over) if you spot such a driver. The authorities are best equipped to handle these sorts of situations. 3. Keep an eye on your teen or new driver with a dash cam. It’s a great way to review driving habits and talk about how to handle common – and uncommon – situations on the road. Vehicle manufacturers install all kinds of features designed to help you avoid accidents and stay safe on the road. These options can reduce your chances of being in a collision, and should a crash occur, protect you from serious injury. The best thing is, many safety features come standard with the base model of new vehicles. And as we inch ever closer to a world where driverless vehicles are the norm, insurance companies are trying to figure out how to make sure vehicle owners are protected when an accident occurs. If it is your auto insurance renewal time, Lane’s Insurance is a brokerage, meaning that its representatives work for you, not for the insurance companies. We are able to contrast and compare the policies provided by a number of Canada’s most respected providers to ensure you’re getting the advice and the coverage that protects your best interests – and you. At the same time, we can also make sure you are qualifying for as many discounts as possible.